Filtered images of Jean B. (left) and Silvester K. (also identified as George K. in earlier reports). A Kenyan man was last week arrested after he attacked his girlfriend and set her on fire. The girlfriend is still fighting for her life at the Bergmannsheil-Klinikum in Bochum. Monday evening at around 9 pm, in a ground floor apartment on the Bleichstraße, the police and paramedics were called in when the neighbours discovered the house was on fire. The 33-year old South American woman, Jean B. was found by neighbours at the scene with her body in flames. Jean B. jumped out through the kitchen window into the backyard screaming. “She was naked, her hair was burned, her face was no longer recognizable. In pain, she stammered that her boyfriend had been doused with a flammable liquid before setting her on fire. It was awful,” a shocked witness reported according to the Bild newspaper. The lady suffered life-threatening buns and was flown to the Hannover Medical School where she received treatment. She was later moved to the Bergmannsheil-Klinikum in Bochum where she remains in the ICU. Fire fighters at the scene on Bleichstrasse in Bielefeld. 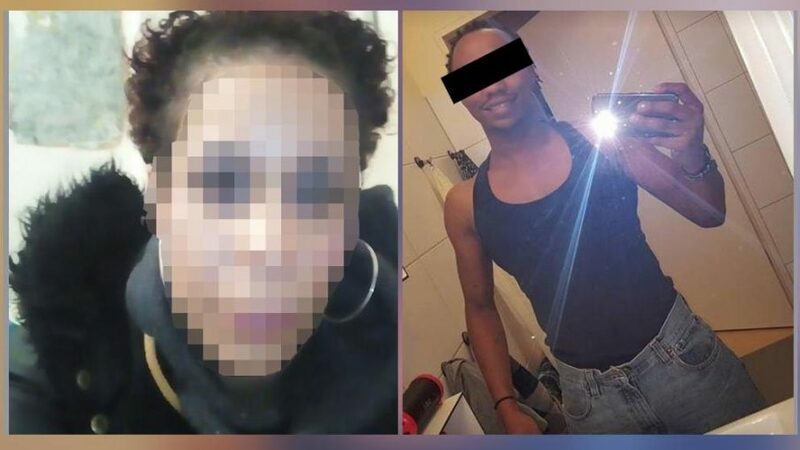 Also at the scene was her 27 year old Kenyan boyfriend, Silvester K. (some of the earlier reports identified him as George K.) who suffered minor smoke injuries and was delivered to the Justizkrankenhaus in Fröndenberg for treatment. A murder commission titled “Bleich” under the leadership of the Detective Superintendent (KHK), Jutta Horstkötter has began investigations into the matter, interviewing neighbours and inspecting the apartment with forensic experts. Preliminary findings indicate that the fire was caused intentionally and Silvester K. has been taken into custody as a potential suspect. The details of that fateful night remain vague and unclear, various news outlets have reported on Jean B. being Silvester’s girlfriend, a fact not confirmed by the police reports issued to the public. The Bild newspaper reported that Silvester had denied the charges on attempted murder and arson and had told the public prosecutor that Jean had attempted suicide by setting herself on fire. A claim disputed by the experts working on the case. The Neue Westfälische newspaper reports that Silvester is notorious and well known by the police in Bielefeld having being in trouble severally in the past. Neighbours claim that alcohol and drugs were involved, they reported incidents of theft, quarrels, punches and loud parties. Allegedly, the day before the incident with the fire, a young lady ran out of Silvester’s apartment screaming that she had been raped. If found guilty of arson and attempted murder, Silvester K. faces life imprisonment. Jean B.’s three children remain with relatives as their mother continues to receive treatment.